The year is 1930. Beautiful, witty Devon is the daughter of a prominent Virginia family. Many men have fallen under her spell, but none has captured her heart, until she meets New York tycoon John Alexander. Their future seems assured: they will marry, raise a family, turn their country estate into the best Thoroughbred farm in the nation. But what Devon cannot foresee are the conflicts that will drive away her husband or the tragedy that will devastate their marriage. Be transported from lush Virginia hunt country to sophisticated New York and the embassies of Paris. Travel from the Hollywood glamour of Hearst castle in its heyday to the turmoil of war-torn Cairo, and the enclaves of aristocratic England. Devon’s tale takes you through the decades from peaceful pre-war America to the danger of World War II, and the racial unrest of the South of the 1950s and’60s. 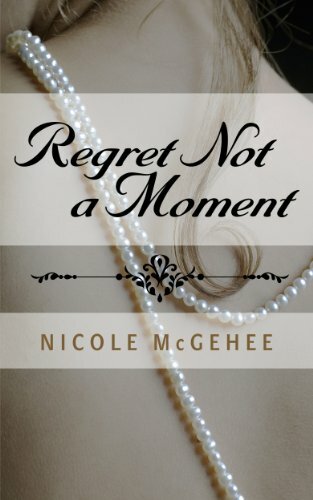 Click here or type in http://geni.us/regret into your web browser to pick up your copy of Regret Not a Moment in the Amazon Kindle store. Nicole McGehee was born in South Carolina, but spent most of her adult life in the Washington, DC, area. She began her career in politics as a lobbyist and event planner for several medical non-profits. Later, she worked as a speech writer and legislative aide in the U.S. House of Representatives. From there, she went to work in the West Wing of the White House. After leaving the White House, Nicole started her own publication on business and trade in Latin America and the Caribbean. She owned the journal for seven years, then sold it shortly after signing a two-book contract with publishers Little, Brown and Company (hard cover) and Warner Books (paperback). Her books have been translated into French, Spanish and German, and were also published in the United Kingdom and Canada. In addition, her travel writing has appeared in the Washington Post, the Denver Post, the Miami Herald, and Honeymoon magazine. Nicole is co-author of The Insiders’ Guide to Washington, DC, 3rd edition. In 1997, her first husband, Michael, died in a car accident. Devastated, Nicole sold their home in Virginia and moved to ski country in Colorado. Five years later, she met her second husband, David. They continue to live in Colorado. Nicole has an Associate’s degree from the Fashion Institute of Technology in New York and a BA from Georgetown University in Washington, DC. 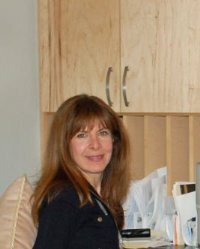 You can visit Nicole’s Amazon author page if you click here or type in http://geni.us/mcgehee into your web browser.